The temple was built during the reign of Raja Narasimhadeva in 13th Century AD. 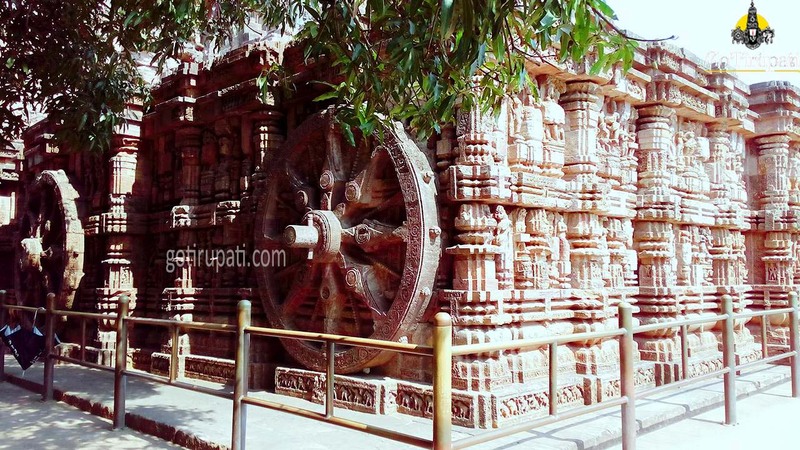 Temple architecture reflects Kalinga construction style. As per the Legend, Sambudu Manasaputra of Lord Krishna got relieved from Leprosy on taking bath at Chandrabhaga. He also recovered the Sun God Idol from the Chandrabhaga Sarovar. 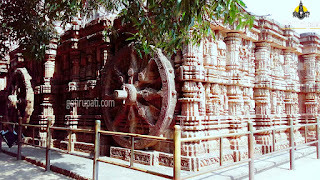 Who installed the Idol of Konark and built the temple. Temple was built during 1257 - 1260 AD. It is stated in Purushottama Mahatya that Lord Vishnu after killing the Demon Gayasura, left his Conch in Puri, Disc in Bhubaneswar, Mace in Jajpur and Lotus in Konark. The main temple was built 229 ft above the ground. The Portuguese Navy staff using their authorities removed the Vimana Sikara as they believed that magnetic force from the Vimana Sikara was disrupting the Ships movement. As soon as the Vimana Sikara was removed the Gopuras, pillars balanced on the collapsed to the ground.